There's still time to sign up for Full Bloom. The kick-off class is Saturday, February 4th but you need not be present to participate. Enrollment for this beautiful project ends February 28th. 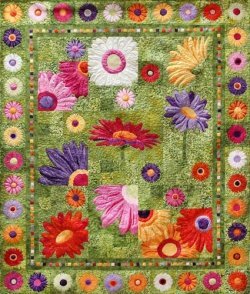 This 66" x 80" quilt uses thread painting for applique! No fusibles - my mistake to say that it did last month. Basting glue is the secret! 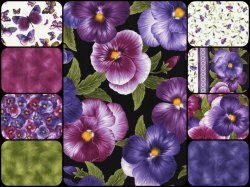 Nine months of fabulous floral blocks and then get back together with Jody for the finishing kit techniques! $28.95 a month. You supply your own basting glue and thread. We will do the rest! Make it and Take it! - Please sign up in advance. 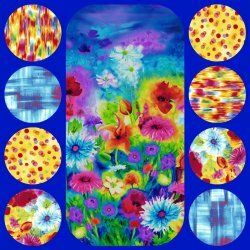 Hand Applique Club - Starts Saturday, February 18 - 9:00 am to Noon. This month's technique is marking backgrounds and making stems. 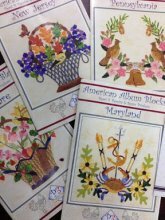 We have adorable state blocks patterns, Delaware, Pennsylvania, New Jersey and Maryland, to start you out or bring your own. See all the techniques on the website under the class supply list. $10 a month. Sign up in advance to reserve your spot! Click Here for more details! This month our Special Ruler is incredibly talented and a work horse to boot! The Creative Grids Stripology ruler ! A wonderful system for fast measuring and cutting of strips and blocks - Pretty cool ruler! 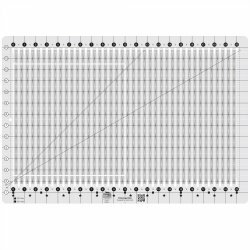 And for your free bonus pattern to accompany your ruler purchase, we are offering any one of our Cut Loose Press patterns that says it uses strips! All supplies included for this practical project! Hand sewing only this time! 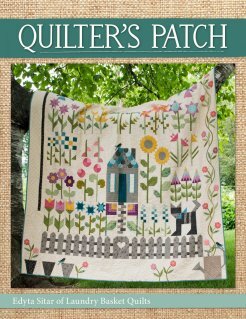 Bring a needle, thread and thimble plus your scissors and other practical stuff! It's a glorified nine-patch! 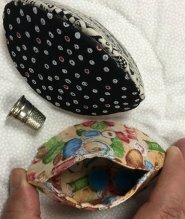 Once you make one, you will definitely want to make more! 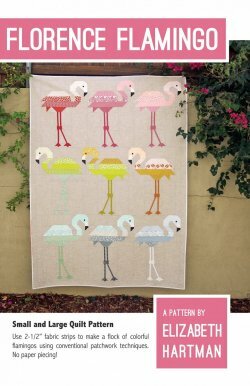 Create geese "in the round" with no curved piecing and no applique. 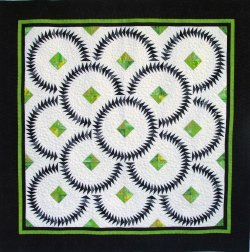 New to paper-piecing - this is a good one to start with! 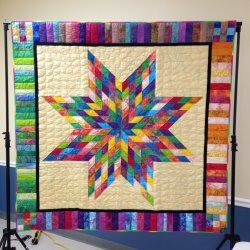 Make the whole quilt or just finish off the center circle for a wreath wall hanging or pillow top! Traditional Cathedral Windows completely updated! All machine - all done so much faster than by hand! Tuesday, February 21st 10:00 -4:00 $45. 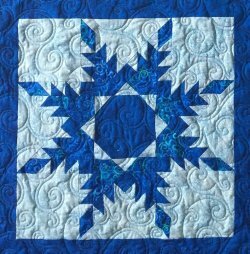 The Ladybug Quilt Guild has offered to share their workshop with the Blue Hen crowd! Check out this gloriously scrappy star - you too can have one of your very own! Need a practical way to transport your stuff for workshops and retreats! 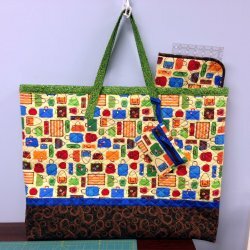 This bag is perfect for those oversized items like your cutting mat and sewing machine table extension. 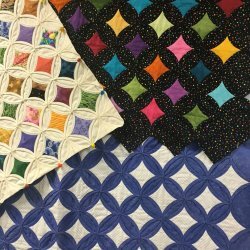 March 3rd - March 12th - the first annual Quilts Around the Bay Shop Hop! 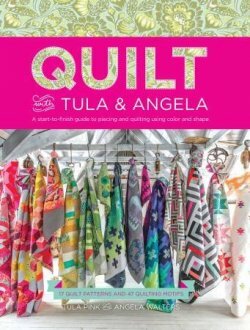 You've got 10 days to visit all nine shops, pick up your free patterns enter to win prizes and get inspired by all the great quilty things you see along your way! Each shop will have their own basket of goodies to win or go for the big ones - a Janome Sewing Machine, a Go! 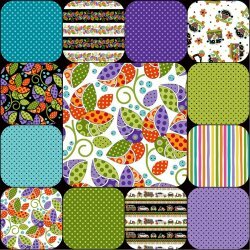 Baby Fabric Cutter set and oodles of quilting accoutrements guaranteed to bring you joy! 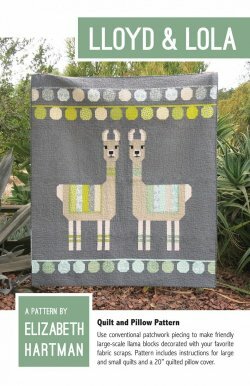 And if you want a sneak peak at the patterns, our sample using all the beautiful blocks from each shop is on the long arm right now. Come in a take a look! 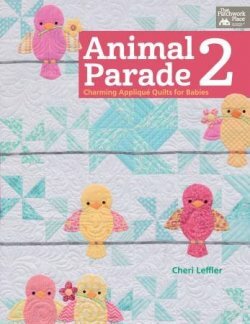 The Blue Hen Quilt Shop challenges you to use either the green or blue version of this adorable fabric in a quilted item (quilt, bag, table runner...) Bring your finished quilted item back into the Blue Hen Quilt Shop by March 1, 2017. Quilted items will hang for 30 days in the shop and customers will be invited to vote on their favorites. The piece with the most votes will win a $100 gift certificate to the Blue Hen. There's still time for you to join in the fun! 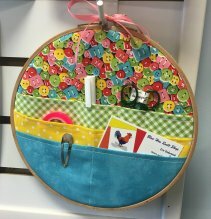 March's Make and Take is an adorable Hoop Organizer! Sewing machine needed this time! 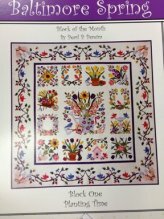 And our final bit of news is that the Blue Hen Quilt Shop is hitting a milestone! Our 1-year Anniversary is almost here! And we wouldn't be here if it weren't for all of you! We are making plans to celebrate in style - stay tuned for all the details!